Maharishi Valmiki Jayanti celebrates the birthday of Valmiki, a famous poet in India. The celebrated date is in the month of Ashwin (October) on the day of the full moon (Purnima). 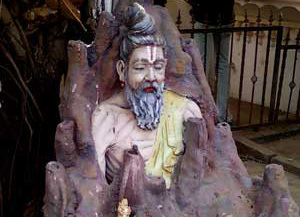 Valmiki's birthday celebration is popular in Northern India. It is a restricted holiday where government and businesses remain open. Valmiki is also known as Adi kavi who discovered the first verse or Sloka of the Sanskrit poetry. He is considered a great saint of the ancient world. His teachings influence people to fight against social justice.